Internship abroad friends taking a picture together. 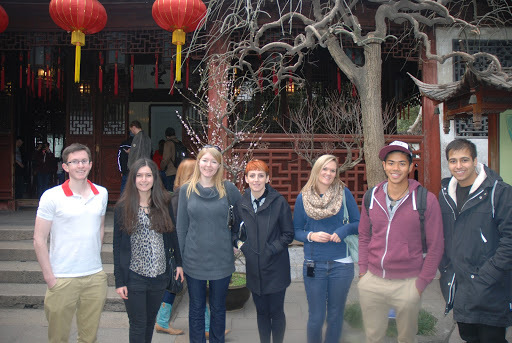 ‘5 Ways Interning Abroad Changed My Life’: Jason Kan interned via CRCC Asia in 2013. Now, as the COO of CRCC Asia, he shares how an Internship Program abroad has benefited his life. Ok, that quote sounds a very cavalier approach to life, however hear me out, there’s some truth to it! Back in 2013, I was 25 years old, working for an investment bank in London, and ticking all the obligatory requirements of a good degree, respectable job, and stable relationships. But, I was unfulfilled. The dawning realization that this would be my life for the next 40 years didn’t sit well. I was very much going through a ‘quarter life crisis’ and wanted to escape. So I did. Was I unsure? Of course. Do I regret my decision? Absolutely not. 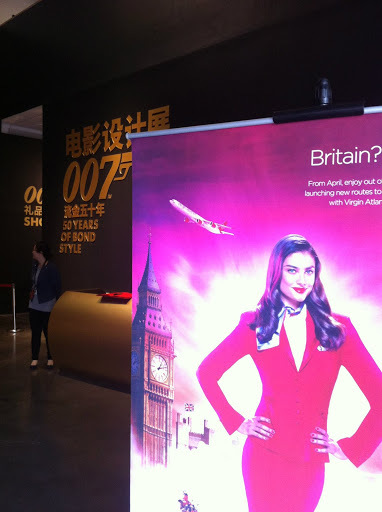 Jason interned with Virgin Atlantic in Shanghai, and was able to attend exciting events. Alongside the glitzy event management aspects, the internship provided me with an insight into launching a viral PR campaign. My colleagues were responsible for pushing the infamous ‘glass bottom plane’ April Fool’s joke, which was picked up as a genuine story by the Chinese media! Even with my work experience at the time, there was no way I would have been able to secure such a great placement in a country where I didn’t know the language or local business culture. For a Marketing, PR , and Advertising internship, I couldn’t have asked for more! I wasn’t able to choose the other participants on my Program, but even if I could, I couldn’t have chosen a better group. As in all walks of life, when a group of twenty-somethings are thrown together to share a common experience – college, university, holiday, work – it often to leads to unforgettable experiences (and stories! ), and this was certainly the case with my Internship Program. Among my cohort, all 6 continents were represented with nationalities ranging from the US, UK, and Australia to Venezuela, Ethiopia, Romania, and Thailand. 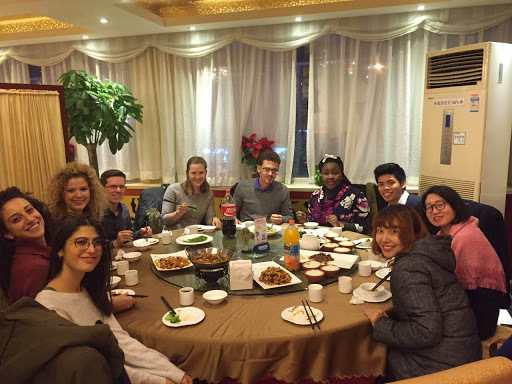 Jason met other interns from all over the world during the CRCC Asia Program. Ended up marrying their Chinese colleague in 2017! To this day, we are still in touch through our “Shanghai 2013” WhatsApp group – and every month or so someone usually restarts the conversation with a “Remember when…” The Internship Program has been a huge benefit, given me life-long friends, and I’ll always be able to call upon free accommodation if I’m ever in Bucharest, Perth, Addis Ababa…..or Bournemouth. 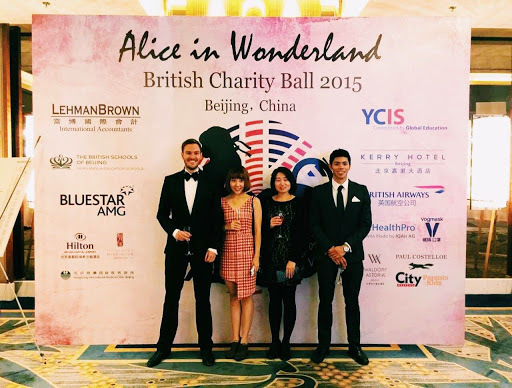 Jason (right) with his CRCC Asia colleagues at an event in Beijing. …except for WeChat. That made life extremely easy, and was an example where upon returning to the UK it felt like stepping back in time. Mobile payments, social news feed, ordering cinema tickets, paying your electricity bills, online shopping- all done within a single intuitive platform. It’s quite hilarious how Facebook’s latest ‘innovations’ are often heavily inspired by Wechat…..
After China, I returned to the UK in a different role for CRCC Asia, however it was only upon my return when I began to recognize the benefit and significance of my time in the Far East. 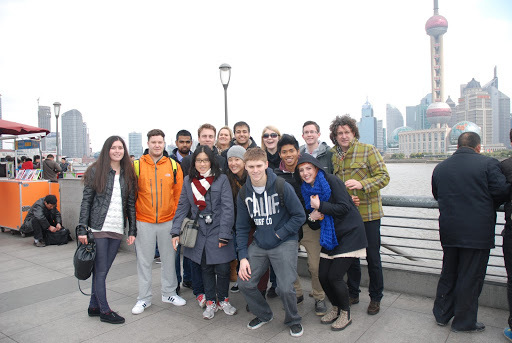 Jason (second from left) learned to adapt quickly after living and working in China. Mandarin was a challenge for my tone-deaf ears , which along with the not-so-warm winters in Beijing and the fact I arrived in a city of 22 million people – not knowing a single person – yet still managed to thrive personally and professionally gives me the confidence that I can overcome any manner of challenges. Some might say I was born with the “Kan-do” attitude but I can honestly say it was China that instilled this into me. My time in China also fostered a greater sense of appreciation – most notably internet access, speed, and reliability! That being said, on the mediocre summer days here in London, I still find myself reminiscing of the weekends sitting on the rooftop of my local library/cafe soaking up the Beijing sunshine! As I’ve mentioned, one of my fellow interns ended up marrying their Chinese colleague…but this wasn’t the only engagement in our cohort. Yours truly has the Internship Program and CRCC Asia to thank for my wedding due to take place in 2020. Jason proposed to his fiance last year. 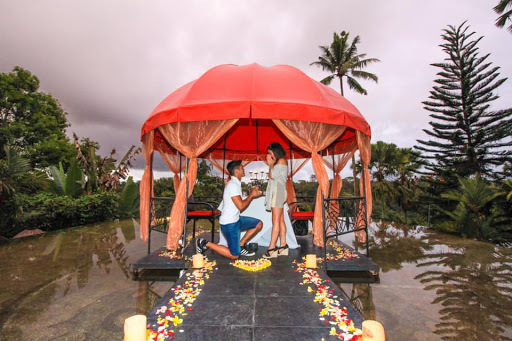 2018 – Pop the question! It’s quite something to say interning abroad changes your life, but in my case, it truly did. Wondering how interning abroad could change your life? Check out Danyal’s story on how interning abroad changed his perspective of his undergraduate degree. Want to know more? Apply for an Advising Call by filling out a short application form online today!